Our family just returned from a trip to Orlando, Florida. We decided to drive the 14hrs...yikes! We left around 7am Friday morning and we slept over in Pensacola at our spiritual parents house. We cooked them some southern food and simply spent family time. Saturday morning we hit the highway around 9am, which made us reach our resort by 5pm. We were completely exhausted, but we did some sight seeing for the rest of the evening. So the vacation package we chose was from Westgate Resort and it gave us 3 days and 2 nights with 2 free Disney tickets to any park we chose...We chose Magic Kingdom. In order to receive the cost difference, it required that Errick and I tour the facility and basically hear a timeshare presentation. Oh my goodness!!! We already knew we were not going to purchase anything...but when I tell you this started at 9am and we did not leave until 12pm...We were so upset!!! Our whole morning seemed to be wasted. BUT...from about 7:30-9am we found ourselves ministering to the sales guy. It was definitely God ordained and that precious time was not wasted and the guy was so thankful. He was a believer and seeking knowledge on Jesus. 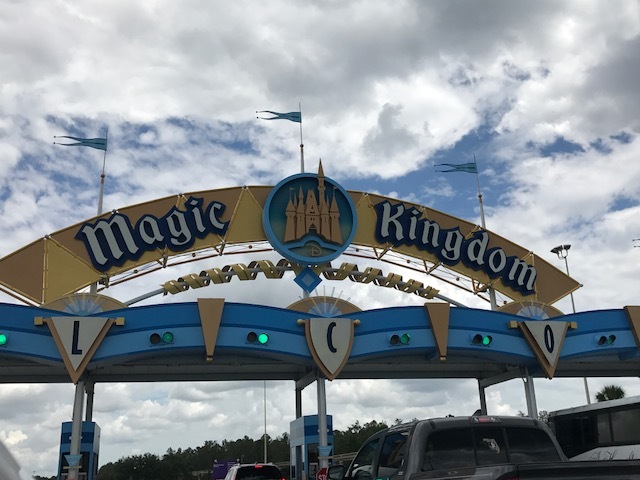 We left and headed to Magic Kingdom! From the time we parked and upon reaching the entrance, we were all excited! We had FastPasses which allowed us to skip the long waits for each ride. Before we could make it to our 4th ride of the day-Kaleb wanted to take a picture with Winnie the Pooh and Tiger...but he began to feel really ill. He looked at me and said "Mommie, my stomach feels weird right here...Mommie my eyes hurt". I hurried us out of the line and was trying to make it to the nearest drink station, but we could not make it. I told Errick to pick him up and Errick felt Kaleb could walk, but as soon as I told him he was too weak to walk, Kaleb's eyes rolled in the back of his head and his head fell backwards. As this took place, a Disney employee saw and quickly responded. She brought us to the nearest drink station and she wrote a ticket for drinks. We were giving Kaleb drinks...people were standing around us...I was rubbing his body down with ice and Errick was placing ice on his pulse area...People with different accents were trying to assist us. Another Disney employee showed up and started asking the basic questions: What's his name? Age? Date of Birth? How much did he drink today? At what point did this happen? Kaleb's lips were white. Dehydration has sat in and he could barely talk to us. The paramedics showed up and by that time his body temperature was going down and so was his heart rate. His feelings were hurt because I told him we would be leaving, but the paramedics suggested we take him to the first aid/nurse station and let him rest. Another Disney employee (Robert) gave Kaleb two free FastPasses to any ride he desired once he was better. Kaleb rested for two hours...He threw up...and then fell asleep. By the time he woke up...His color was back and he was ready to go. He was back to talking our brains off. But he said "I have the best parents ever!" This melted our hearts. Our first ride was Aladdin's Magic Carpet Ride. From there we explored the Swiss Family Treehouse. Our second ride was Pirates of the Caribbean. Our third ride was Tomorrowland Speedway. After this ride is when Kaleb had his episode. Once he was back on his feet, we went to Splash Mountain. Our fifth ride was the Jungle Cruise and our final ride (probably the fasted and most thrilling of them all), Seven Dwarfs Mine Train! We are excited about going back, but next time it will be for a longer time. We were thankful for God for the experience. Errick and I work together as a team whether it be finances, cooking, cleaning, parenting, or whatever. Working together has made things in our marriage better than it would have been being single. We were so thankful for the quick response of the Disney employees in helping Kaleb. We have so many pictures and memories. We cannot wait for our babies to come so that they too can experience Disney! Jun 30 May We Never Hear "I Never Knew You"